This stylish and contemporary Pelican Watch villa has it all! Its an ideal first floor villa with beautiful ocean views and lots of interior light. This villa is fun and colorful and thoughtfully updated. The owners love to visit and are always doing things to make it more appealing. Relax and enjoy all the comforts of home at the beach. 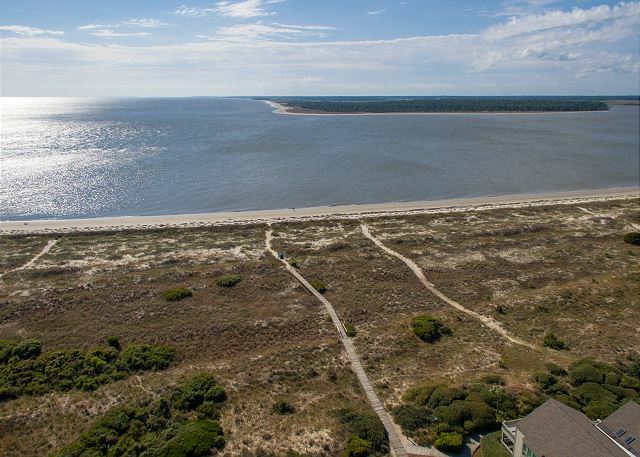 Walk out your back door down to the beach. 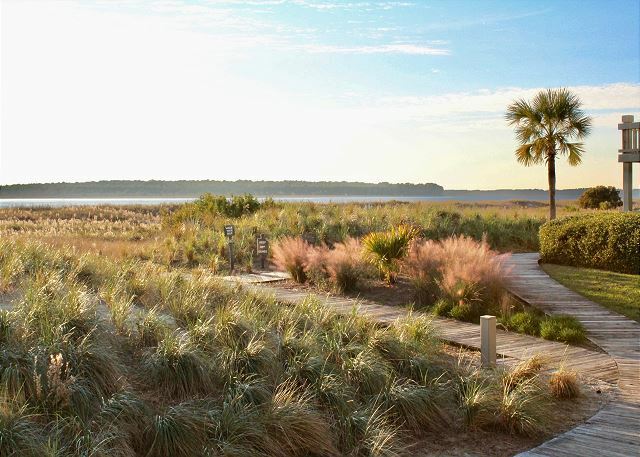 Enjoy captivating sunrises and tranquil sunsets from your covered deck. Step into your modern, chic villa and notice the warm, colorful tones through out. The bedroom suite coordinates rich chocolate tones of the wood flooring with bold, earthy green walls. The high quality king bedding offers a relaxing, peaceful nights rest after a full day enjoying the abundance of activities available on the island. If you like to watch TV when you go to sleep there is a wall mounted flat screen TV at the perfect height for bedtime viewing. Getting ready for an evening out? The master bath is very nicely updated for your comfort and convenience. Traveling with the kids or additional guests? The living area offers a queen sleeper sofa and the full hall bath features nice updates with a shower. Staying in for the night? Relax in the living area and watch your favorite show or movie. The HDTV and DVD player feature Comcast service. If you want to be Top Chef at the beach check out the house wares offered here. The owners love to cook and stock the kitchen with everything you need to enjoy in house dining fun and the updated stainless steel appliances are on point. The dining table seats four and there is a large counter pass through to the kitchen. 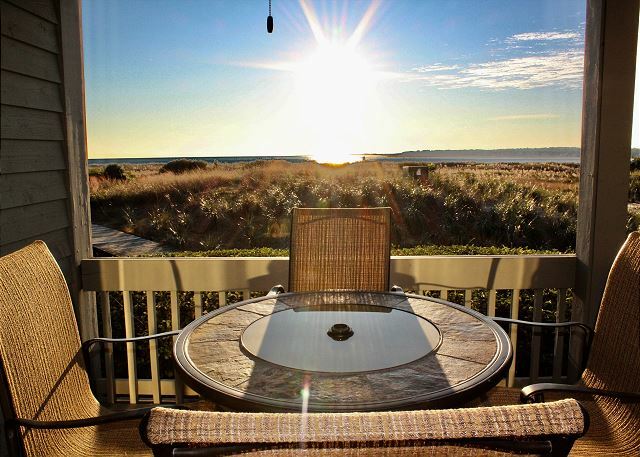 Additional conveniences include a high end front load washer and dryer, two beach chairs and a high quality table and chairs on the deck for sunset cocktails and relaxing. We know FIdo is a part of the family and your well behaved furry friend is welcome to join you on vacation. 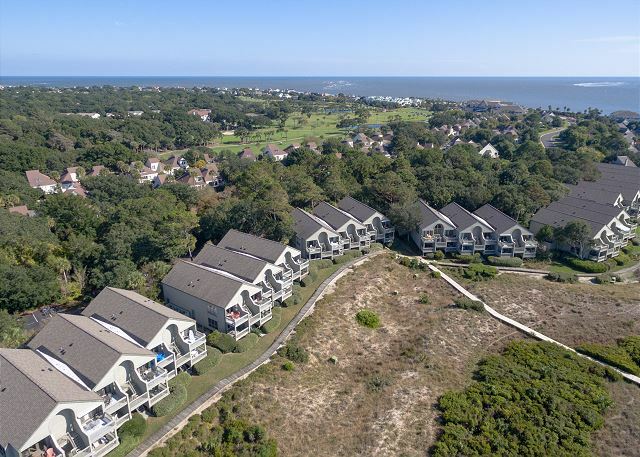 We include amenity cards for the Seabrook Island Club at no additional charge. Bring your tennis racket and golf clubs! In the summer the oceanfront pools and restaurant are THE place to be! We can't wait to welcome you to Island Time. Pelican Watch - Beautiful, Serene..
We had an absolutely wonderful stay at (1387) Pelican Watch. The villa was very clean upon arrival, the decor was upscale and beachy.. just the way we like it. The entire island is beautiful, pristine. We enjoyed the view from our patio, watching the deer make their way thru the dunes, it was just breathtaking. While there we also rented a boat at Bohicket Marina and made our own dolphin tour. We saw so many frolicking right around the boat, we simply lost count. 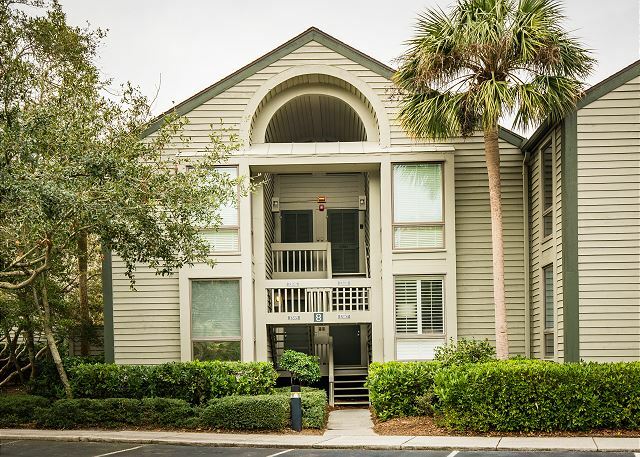 Freshfield Village is conveniently located about a mile outside the gate for groceries, shopping, and dining. It was so quiet and serene - it was JUST what we needed. Would definitely recommend this spot to family & friends. This is a first floor rental with very few steps to the front door. The porch has a high table with bar type chairs to make it easy to see over the dunes. The interior design is a newly updated transitional style that is just lovely. Thoroughly enjoyed our stay at Pelican Watch. We have stayed at Seabrook 7 or 8 times but never at Pelican Watch. We are getting a little older and taking things a little easier these days. It was wonderful to watch the sunsets each evening from the porch and not have to walk down to the beach. Also, were entertained by all the deer that we could watch right in front of our unit. Room was great for the two of us, but won't work if our family comes with us as they usually do. No complaints about cleanliness or issues with something not working. Will return if its just the two of us. We had such a wonderful,relaxing vacation. 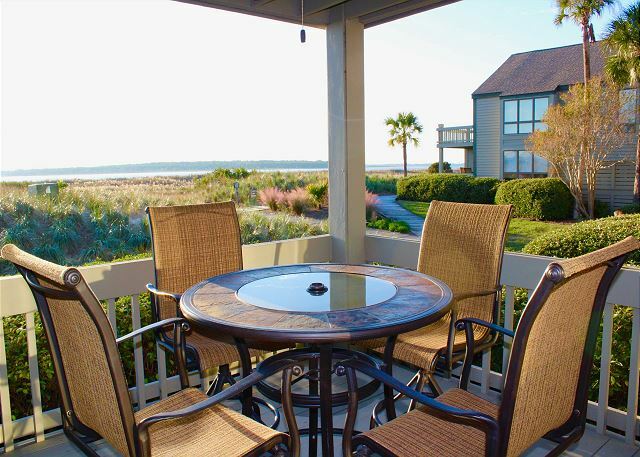 Pelican watch Villas were the perfect spot to enjoy the beautiful island of seabrook. Our villa was lovely and everything we hoped for and needed! Such a great experience renting from Pat Harrington's Exclusives. We had a very nice time at Seabrook. The Pelican Watch location is a very quiet location, only steps from the beach but with a somewhat secluded and private feel to it. And all the amenities of the resort (golf, fitness, restaurants, pool) are only a short walk or bike ride. The condo was very nice and exactly as described. It is perfect for a couple but might be a bit cramped for 4 adults. We loved this place so much that we're returning in May! Wish the weather had been as accomodating as the Villa! Appreciate the owners being pet friendly! We will return again! Bed very comfortable, kitchen well stocked! Wonderful trip, unfortunately rained over half of our stay. Still we were in a beautiful setting and villa. Betsy and Seabrook Exclusives staff so wonderful to work with! of our own private beach. We enjoyed dungeoness crabs from Harris Teeter and the property had everything needed to cook and eat them. Again, what a wonderful weekend getaway. I can't wait to go back. I have even thought about purchasing a property of my own. Wonderful one bedroom condo in great location. Nicely furnished. Great condo, very nicely decorated, exactly as presented. Loved the water views and all the places to walk. Our fur baby loved it too! Sitting on the deck with deer looking over the railing at me close enough to reach out and touch was pretty amazing too!